We are currently working with a municipality that didn&apos;t provide any increases over the past several years, and when we recently completed their market analysis and set their pay ranges using our DBCompensation software program (job descriptions, job point ratings, employee data and market data), they were 20% behind market. We worked with the leadership team and City Council to formulate a pay plan over the next few years that will help them to make up that deficiency as well as keep their pay range structure current with market. With this plan in place, the employees will spend less time thinking “Show me the Money!” and will start spending more time being engaged and committed to make a difference for their organizations. 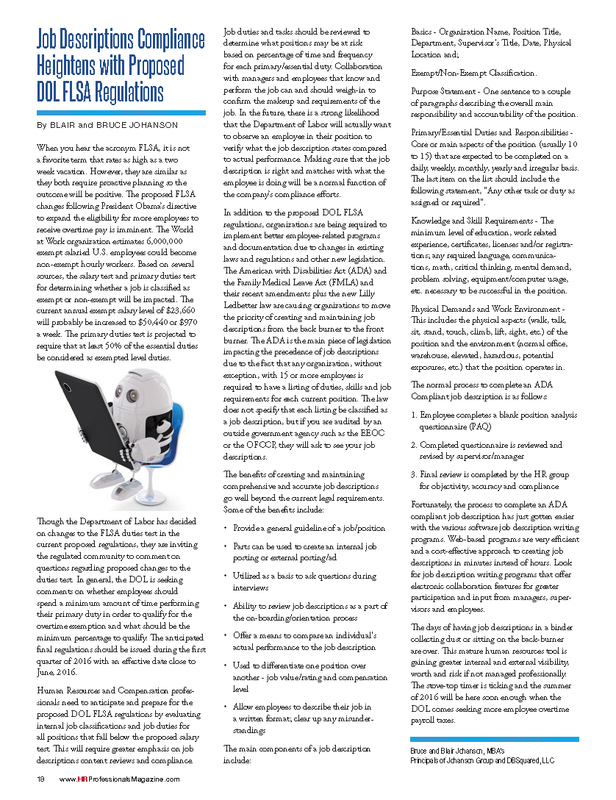 DBSquared presented this whitepaper in the December issue of HR Professionals Magazine. Jennifer Blakes presented this whitepaper in the December issue of HR Professionals Magazine. We are excited to be putting the final touches on a long list of improvements to the DBCompensation product. The updated software will be released in the first quarter of 2016 and it will include two major functionality releases in one: Major revision 9 includes many “under the hood” improvements such as updated technology and processing speed; major revision 10 includes numerous user-requested features such as a beautiful new user interface, improved readability of forms and data, ease-of-use features, improved reporting, improved data exporting capabilities, and more. As always, we will provide user meetings and training events to showcase all of the new features. Please stay tuned for forthcoming updates as we finish implementation of the remaining features and prepare for the official software release.